CVW asks Rotronics, CTEK and Midtronics UK supplier, to provide readers with some assistance on how to reduce non-starts and improve battery quality. It seems much of the discussion in workshops today is focused on nonstarts and battery quality. If we buy cheap batteries, what should we expect? Why is it that our warranty is rarely honoured by our battery supplier when the warranty claim is submitted? The reality is that if we are to improve battery performance and vehicle reliability, we must change the way we do things when it comes to battery maintenance. Rotronics, an expert in proactive battery maintenance and service solutions, has recently developed the Rotronics online battery information system, ROBIS. 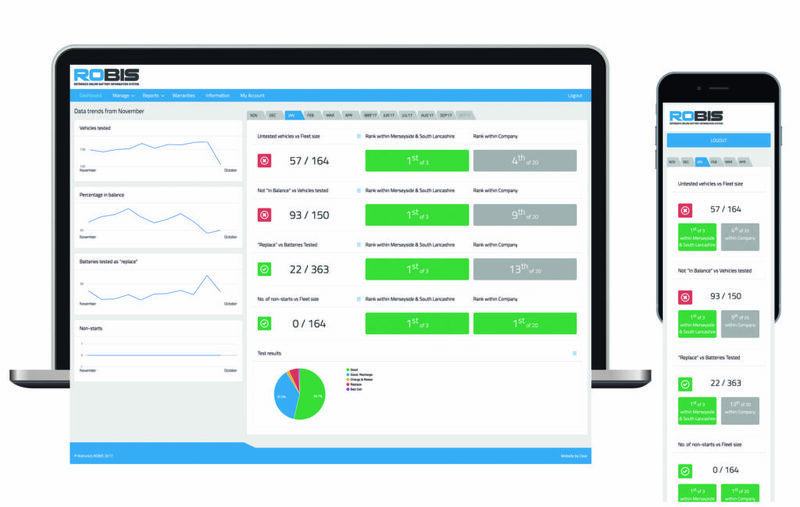 Designed as a web-based dashboard and reporting system, ROBIS collects battery and electrical data from a number of national/regional workshop sources and will update software across the fleet. Ken Clark, Managing Director of Rotronics, says: “All too often the battery is blamed for letting the vehicle down and this can lead the workshop team to question the quality of the batteries they fit, leading them to consider alternative battery technologies or suppliers in an attempt to remedy the problem. A battery requires similar care to an engine, whicneeds regular inspection and servicing to ensure the oil levels are correctly maintained to provide a long and reliable working life. Clearly a workshop cannot see everything that is going on, but by incorporating a simple proactive approach by testing and balance charging the batteries as part of the vehicle maintenance process, the reliability of the batteries will increase. 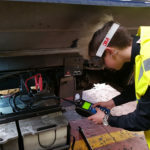 “Using ROBIS as part of this proactive approach will give you a heads up on the level of charging required within the workshop, and enable staff to put into place steps to keeping your vehicles on the road and starting first time for longer. “Teams can access clear measurements for fleet battery performance. Workshops now have a powerful measurement tool that will ensure that they can closely manage their processes and budgets,” concludes Ken. Internet access is required and users will receive a personalised, secure login which will give multiple users access to the dashboard, reports, warranty management and the regional/national statistics of their fleet. The dashboard works on any PC, tablet or mobile device and gives instant access to current and historical workshop testing results and analysis.